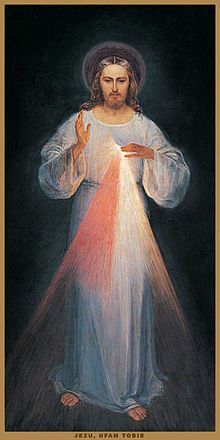 The Divine Mercy Novena is an invitation to trust in God’s endless mercy. The Novena was given to St Maria Faustina Kowalska (1905 – 1938) during a series of visions of Jesus. It focuses on a different group of souls during each of the nine days as we implore Jesus to shine his eternal Mercy on each. Divine Mercy Sunday is 28th April. Background: St George was born in Palestine. At 14yrs, his father died and a few years later his mother. St George followed in his father’s footsteps and became a soldier. However, when all soldiers were ordered to worship and offer sacrifice to the Roman Gods, St George loudly objected. Proudly proclaiming his Christian faith, he was tortured and executed by decapitation. He is the Patron Saint of numerous countries as well as professions and sufferers of various diseases. His Feast Day is 23rd April. Almighty God, I bow before you seeking your help and mercy. Illuminate the darkness of my mind with a ray of heavenly light and inflame my heart with the fire of Your divine love, so that I may contemplate the great virtues and merits of Saint George in whose honour I make this novena, and following his example imitate, like him, the life of Your Divine Son. Eternal God, I beseech you to graciously grant, through the merits and intercession of St George, this petition which I humbly place before You. O God, who granted to Saint George the strength to sustain the torments he received for our holy faith; I beseech You to prevent my faith from wavering, so that I may also faithfully serve You with a sincere heart unto death. I ask this through Jesus Christ our Lord. Amen. St George, a faithful servant of God and invincible martyr, you were favoured by God with the gift of faith, and inflamed with an ardent love of Christ. You fought valiantly against pride, falsehood, and deceit. Neither pain nor torture, sword nor death could part you from the love of Christ. I fervently implore you to help me by your intercession to bear bravely the trials and temptations that oppress me, so that I may patiently carry the cross which is placed upon me. Let neither distress nor difficulties separate me from the love of Our Lord Jesus Christ. Valiant champion of our faith, assist me in the fight against all evil.